Display and protect your cherished dolls, models, or other collectibles in a acrylic display case. 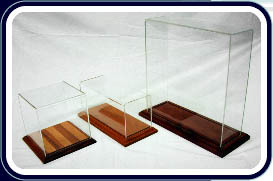 Standard display cases come in a choice of oak or cherry wood bases. Each base is clear lacquered coated for a long lasting finish. Custom wood bases (mahogany, ash, walnut, or combinations of wood) and finishes are also available. 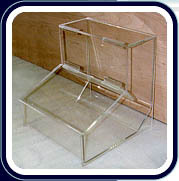 Display cases can have mirrored back inside walls or bases. 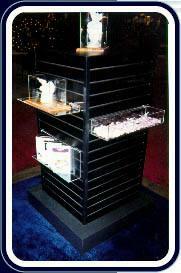 We fabricate standard and custom acrylic components for slat wall and table top displays. Flat shelves, slanted shelves, trays, shoe holders, risers, cubes, etc. are available in clear, white, or black acrylic.Custom colors are also available. Choose from our standard bins or have us fabricate custom units from your design. We can manufacture any size bulk food bins you may require for your establishment. All units are clear acrylic for easy food product recognition. Imagine your corporate or product logo or picture permanently etched in bronze, stainless steel, nickel, copper, or any other metal you wish to use. 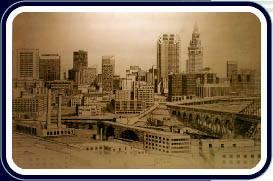 We can take your artwork and etch it onto metal for a permanent, high quality graphic presentation. Unlike vinyl or printed graphics which fade or peel off, etched metal will last indefinitely. We can cut and form metal shapes and etch any or all sides of any metal product for a custom presentation.